CNN on Thursday published four old letters from former Vice President Joe Biden opposing the idea of court-ordered student busing to desegregate schools. 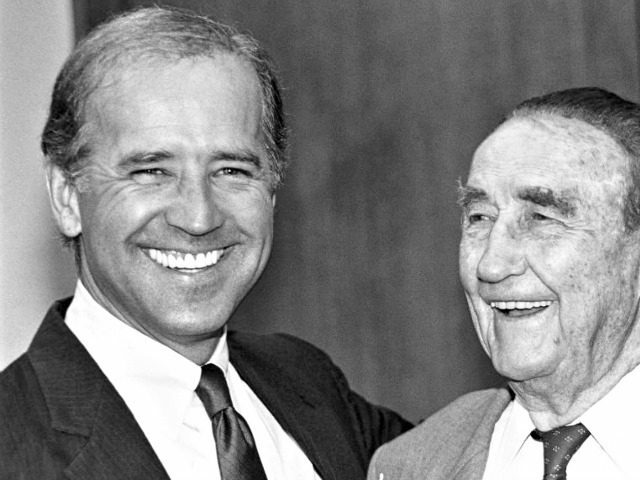 Then-Senator Joe Biden of Delaware proposed legislation to amend the Education Opportunities Act to stop public busing of students for the purpose of desegregation. 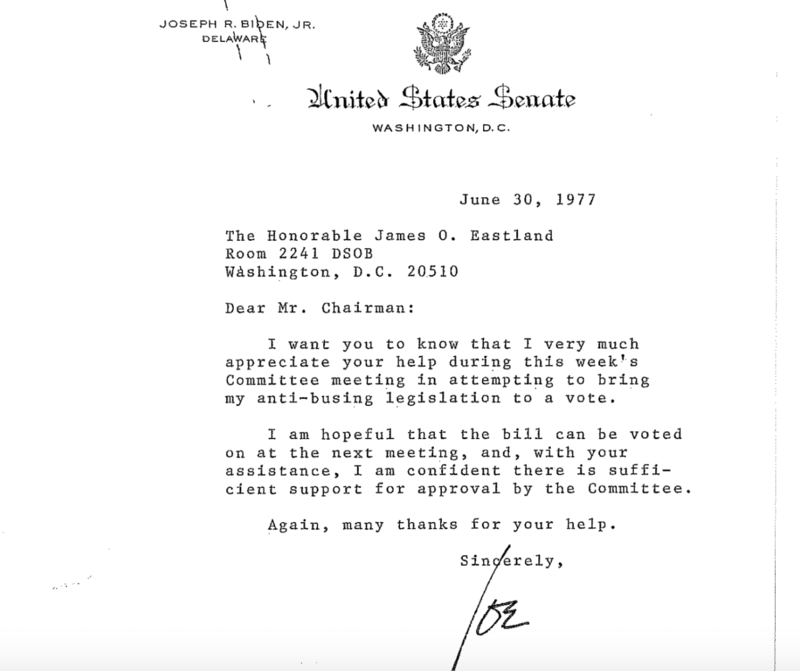 In a 1977 letter, Biden sought the support of Sen. James Eastland, a Mississippi Democrat who opposed desegregation altogether. “I want you to know that I very much appreciate your help during this week’s committee meeting in attempting to bring my anti-busing legislation to a vote,” Biden wrote to Eastland. Biden argued that public busing was not justified in cases where local officials were not intending to discriminate against black students. A Biden spokesman told CNN that the Vice President stood by his belief against mandatory busing.